A performance tableau, Say La Vie by artist Mary Welch, will happen Thursday, August 4 through Sunday, August 7 from 7:00 pm to 8:00 pm. 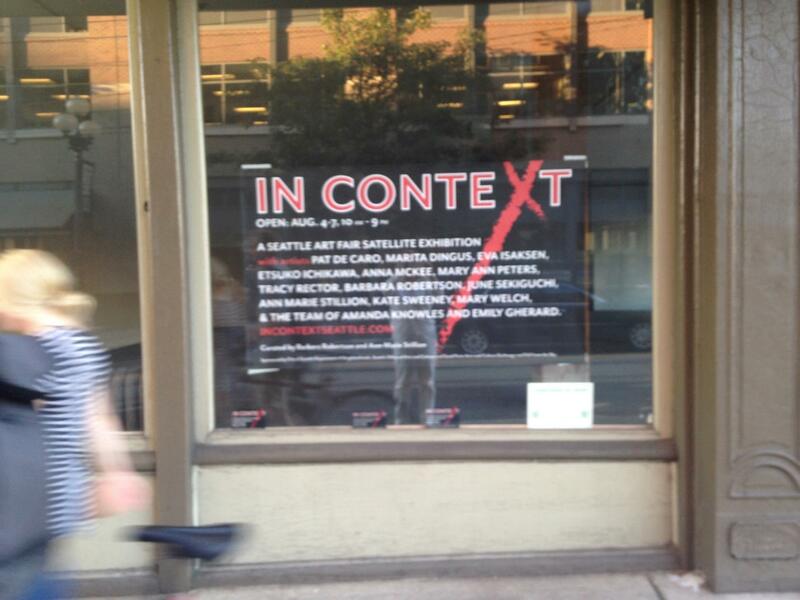 as part of the presentation of In Context, the Seattle Art Fair Satellite. On Sunday, there will be an extended performance until 9 pm. The scene – Chess and checker players arrive at an outdoor café and are at a loss when they realize they have forgotten to bring the boards required to play. They resolve this dilemma in a most curious way. Be part of a strange beauty in unusual places. Audience participation. 220 S. Jackson St on the corner of Third Ave. and S. Jackson St. in Pioneer Square.